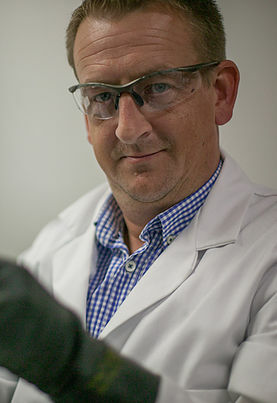 Tony MOOR’s studies focused mainly on Chemistry and he was first exposed to the semiconductor hardware industry as a Physical Failure Analyst in Atmel’s FAB9 in North Tyneside, England. It was here that he learned the skills and techniques required to prepare and image semiconductor devices in fine detail in order to isolate failures in processes, assist in yield enhancement and also to aid new process development. For the following decade, Tony then applied his skills and knowledge in the field of reverse engineering, evolving a laboratory to become a self-sufficient reverse engineering facility. Methods used included Focused Ion Beam (FIB), Scanning Electron Microscopy (SEM), Dual-Beam (FIB/ SEM), High precision mechanical delayering, wet/dry chemical delayering and optical imaging. Tony now manages the lab and develops/refines the techniques required to output the highest quality images possible for any given semiconductor device.